The chined hull by the architects Finot-Conq stands for comfort and good balance under sail, making a particularly noteworthy entry into the market for this size of boat. 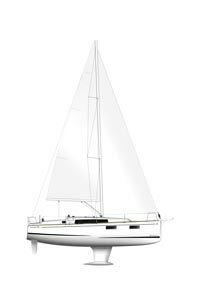 With twin rudders, masts positioned further aft and optimized sail plans, the two hulls deliver excellent performance and offer incredible stability underway. 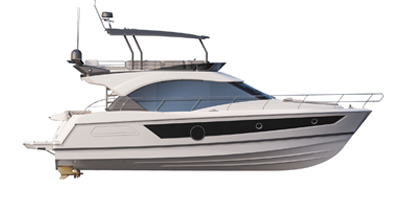 The new L-shaped galley makes a facing seat saloon arrangement possible. The space has been well optimised to allow eight people to sit around the table. For anyone who prefers a more contemporary version, a long galley layout is still available. The chart table has been redesigned. Practical and effective, it folds away to leave more room in the saloon. Designed to suit a variety of sailing programmes and increasingly different lifestyles on board, the Oceanis 35.1 is available respectively in 4 versions with varied layouts: number of cabins and bathrooms, modularity of the saloon, choice of galley, storage capacity, etc. pleasant forward view of the boat when the doors are open. Light Oak or Mahogany Alpi: the Oceanis 35.1 offer a choice between a contemporary light oak or more classic Mahogany Alpi atmosphere. Once the cabinetwork has been decided upon, a wide choice of linings and upholstery colours and materials adds the finishing personal touches.